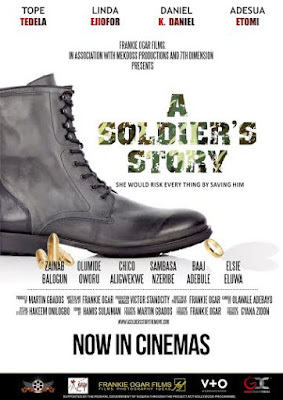 If you are reading this and have not yet watched a Soldier's Story then you might as well prepare to be the odd one out when it surely trends in discussions. The movie is steadily proving to have as many talking points as the viewers and critics talking about it. This is a movie promoted as a story of Bravery, Blood and Betrayal, but on watching it you will agree it has quite a dose of Love, Courage and Compassion. Can hardly wait till the end of this write up to repeat "you need to go see this awesome movie". Beyond a very good storyline, the movie and its makers have indeed raised the bar for movie making in NigeriaAfrica. Its editing, picture quality, sound and overall storytelling threatens to burst it beyond the Nollywood movie envelope that we know. "A SOLDIER'S STORY" is the first part of a trilogy. The second and third parts, still in production are titled "A SOLDIER'S STORY - BACK FROM THE DEAD" and "A SOLDIER'S STORY - CAN'T SAY SAYONARA" respectively. If Sayonara isthe Japanese meaning for 'goodbye', we expect it will be hard for this movie's followers and even the production team to say goodbye to this franchise - the quality and reception of its first installment is simply that good. At this point let me guiltily issue a spoiler alert to those of us yet to see this movie. The story is set in war torn Bosswanga, a city in the West African country of Watz, a imaginary country made up by the filmmakers. Itfollows Regina, a young female Doctor who has had to resort to scavenging as a means of surviving the war conditions. It is on one of these searches that she discovers the movie's protagonist and sets off a thrilling series of events involving rebel soldiers, a life threatening game of hide &seek, puzzles, conflicting matters of the heart, lots & lots of questions but with just enough clues for us to piece together. Did I mention that the story unfolding in Bosswanga unfolds along a parallel one building up back in Nigeria where key characters originated and still reside. 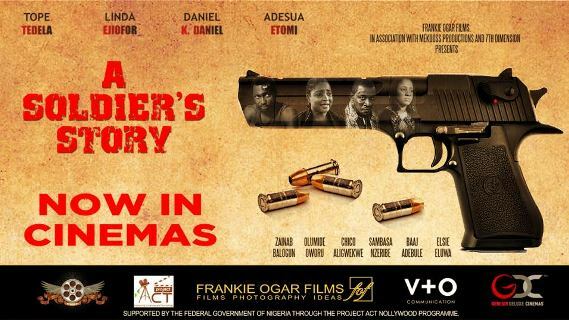 The movie boasts a cast which consist an array of the best young talents in Nigeria Film Industry. Faces you see on a daily basis. 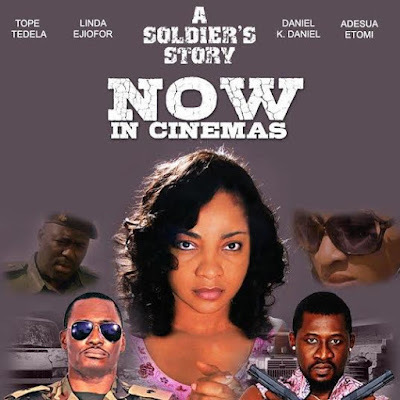 AMVCA Award Winning Tope Tedela played Major Egan the Military Medical Doctor who superbly balanced the role of a soldier with the demeanor expected of a trained medical doctor. Fellow AMVCA Award winning actress Linda Ejiofor plays the young Female doctor Bosswanga and did well to pull off that unique accent we will expect to be associated with this franchise. We know how well awards and impeccably executed accents go – so keep an eye on this one for the forthcoming award season. It wouldn't do enough justice to say multi Award Winning Actor Daniel K Daniel played the role of the Rebel leader Bossman – he simply lived and breathed that role all through the movie and makes it difficult for anyone who didn't recognize him beneath the impressive make-up to believe he is Nigerian. The role call can't be complete without its scene stealer in many ways (watch the movie to understand) Zainab Balgoun who so convincingly played Angela and showed what she's capable of whenever she gets off that Ebonylife TV couch (who would ever have known). Adesua Etomi from played Lebari Major Egan's wife, Chico Aligekwewe gave the signature voice from Classic FM an on screen life that most of his listeners will from now always associate – of course, a classic performance. Olumide Oworu the cute and handsome boy from the television show the Johnson's, played Edwin Regina's naïve brother. And Sambassa Nezribe was something else in his role as Ghetto Bossman's second in command. I can only say, go watch this movie! It is storytelling, reality depiction at its very best and would be looked back on as the one that tweaked the definition of a Nollywood movie. I guess it does help that at its helm were a US based movie producer in Martin Gbados and a UK based director in Frankie Ogar. This movie would surely have left viewing demanding an encore even if the producers hadn't anticipated this with the plans for its sequels. Go and see this movie and trust me you will be glad you did. And don't tell me you can't watch Nigerian movies in Cinemas, soon you will tell me you can't eat Amala or Eba in restaurant. It is showing in Movie Cinemas Nationwide. Everyone that has seen this movie has all come out asking for more. Enough said but if you still don't believe me, click here to watch the trailer and make a date to watch it for yourselfwhile it is still showing.